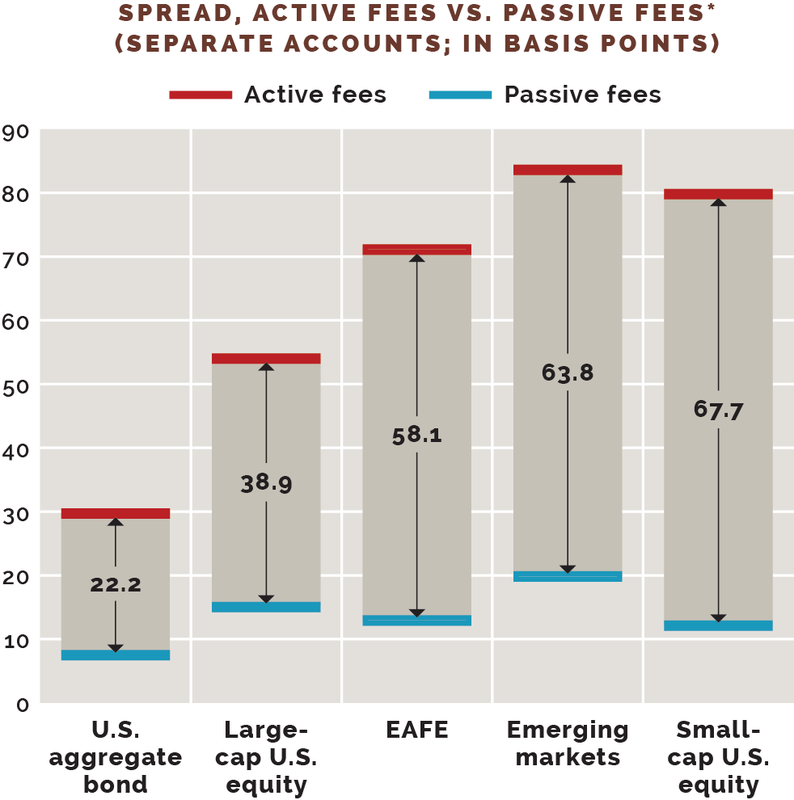 The decision to invest in active or passive equity has been a broad topic of discussion, particularly when it comes to contrasting the higher fees active managers charge with an inconsistent history of earning that premium. As markets grow more efficient, large-cap U.S. equity isn't left with much wiggle room, while other areas of the global equity market still hold pockets of excess returns. Earning their keep: Active large-cap U.S. funds have a 39-basis-point premium, requiring a $389,000 annual value-add per $100 million invested to compete with their index peers. 50/50 at best: Large-cap U.S. equity funds have the lowest probabil- ity of topping their indexes compared with other fund groups, and lower average excess returns when they do. Find the disconnect: Higher active share** equity funds generally come with higher fees. 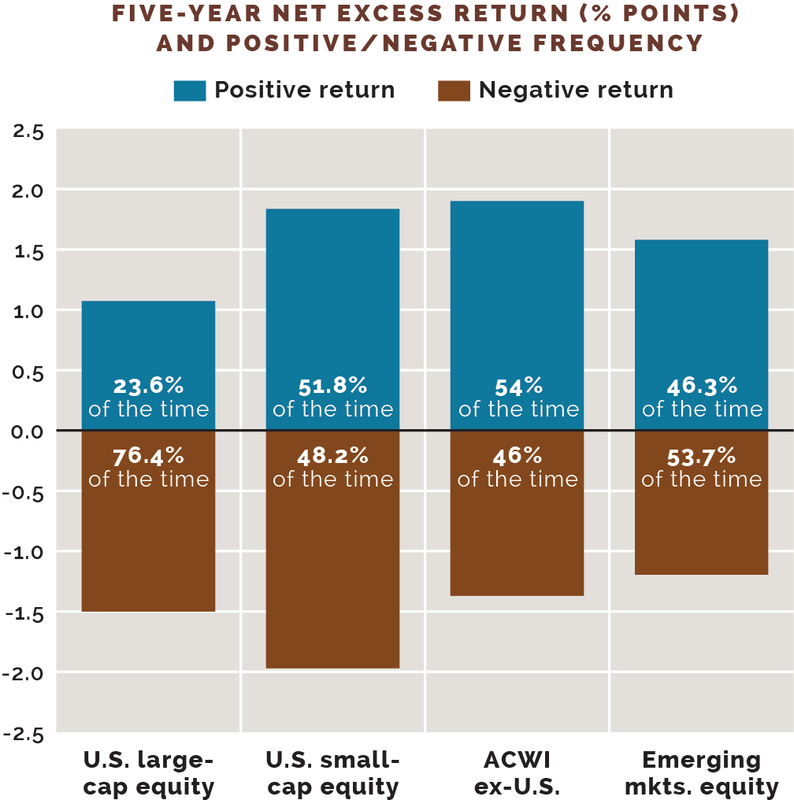 Large-cap U.S. equity funds show a negative relationship between active share and excess returns while investors tend to get what they pay for as their funds move away from their indexes. Notice taken: The added value hasn't gone unnoticed. 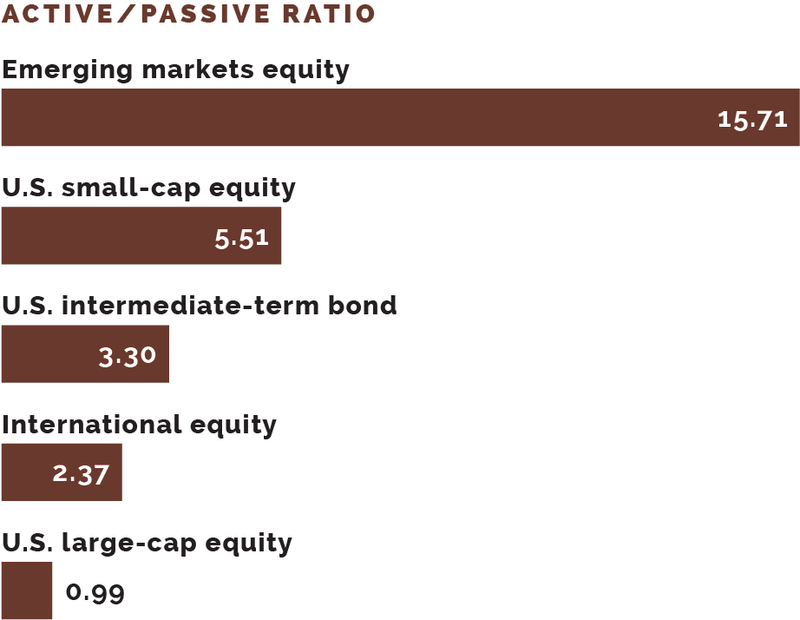 Fund cash-flow data show that only large-cap equity funds have an active to passive net cash-flow ratio of less than 1. 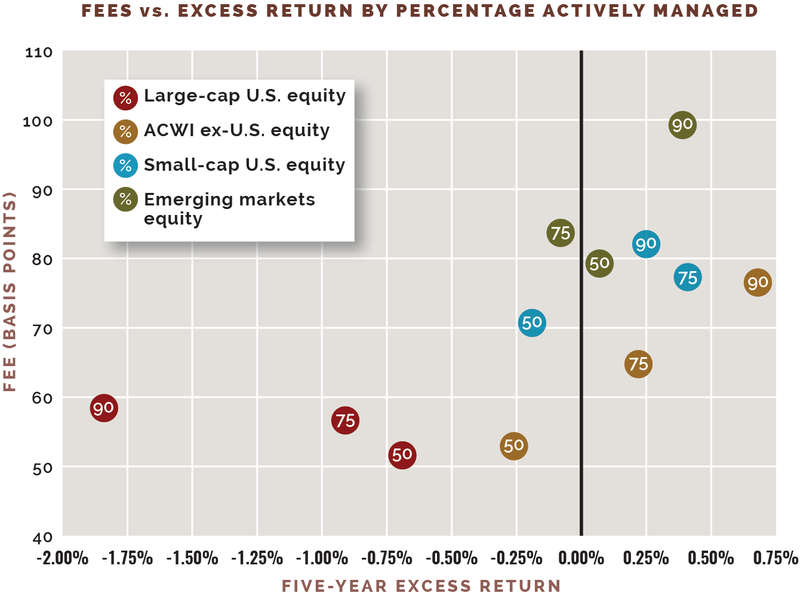 Emerging markets and U.S. small caps show that active is greatly favored over passive. *Assuming a $100 million separate account. **The percentage of holding positions that deviate from the benchmark. Sources: eVestment LLC, Morningstar Inc.